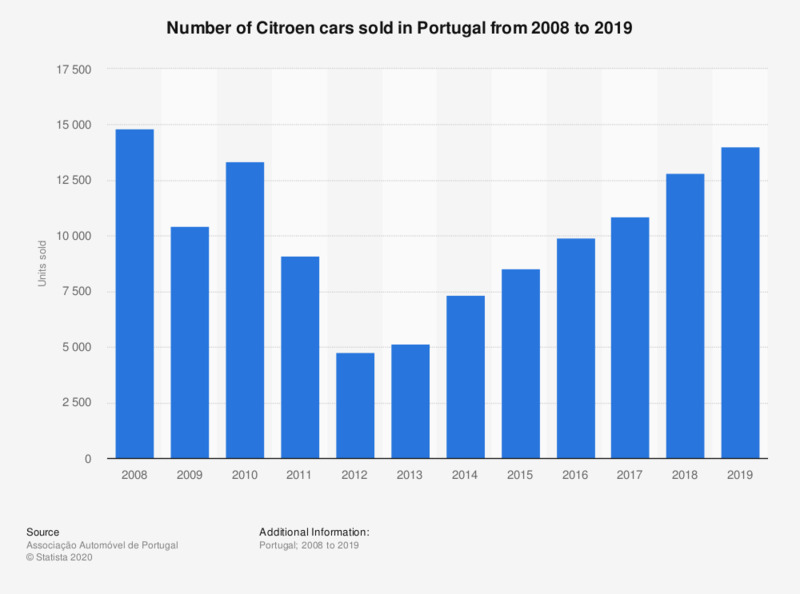 This statistic shows the number of cars sold by Citroen in Portugal between 2008 and 2018. Portuguese sales of Citroen cars declined continuously between 2010 and 2012, before seeing an increase in the following years. In 2018, there were 12.8 thousand units of Citroen cars sold in Portugal.